Steam purchases include Gordon Freeman costume. 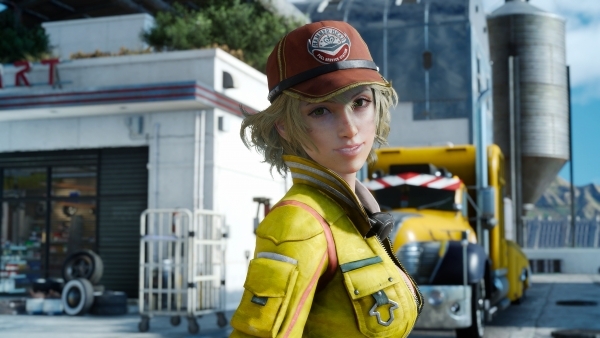 A demo for Final Fantasy XV Windows Edition will launch on February 26, publisher Square Enix announced. Players who pre-order the game from Origin will receive the bonus “Final Fantasy XV Decal Selection,” containing an array of colorful decals for the Regalia car celebrating Gladiolus, Prompto and Ignis, along with the men and women of the Kingsglaive. *Details regarding the early purchase bonuses for Origin will be announced at a later time. The save data from the Windows 10 version of Final Fantasy XV Windows Edition is compatible with the Xbox One version of Final Fantasy XV. In addition, a post-launch update for Final Fantasy XV Windows Edition will enable Windows 10 and Xbox One cross play for Final Fantasy XV Multiplayer Expansion: Comrades. Players who pre-order the game from the Microsoft Store will receive the bonus “Final Fantasy XV Powerup Pack,” containing Dodanuki, a sleek sword created by a legendary bladesmith that reduces enemy defense with each slash. The pack also includes 10 phoenix downs and 10 elixirs. Final Fantasy XV is available now for PlayStation 4 and Xbox One. Final Fantasy XV Royal Edition for PlayStation 4 and Xbox One and Final Fantasy XV Windows Edition for PC will launch on March 6, which will include all of the downloadable content released for the base game, as well as a number of new features. Watch a trailer for the Half-Life costume below. View a new set of screenshots at the gallery.